Inclusive and outgoing, our Gorillas host numerous events. Come join us! Mmeet the Gorilla Recruiting Team and our talented Engineers, as well as hear about exciting projects we are working on. If you’re an engineering geek kinda person and play an instrument or sing, join us each month for an evening of music making! Explore emerging technologies, connect with experts, and learn about their hands-on experiences with a variety of groundbreaking technical solutions. Register for the Get Hired Open House on June 11th! 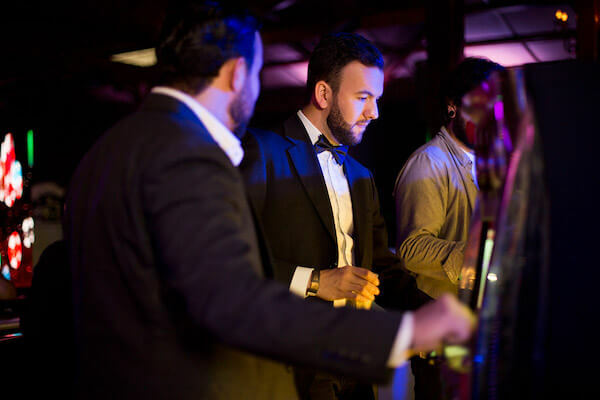 The Band of Gorillas celebrated the 2018 holiday season with a Casino Royale party. View photos from the event. View photos from the event. Gorillas and friends enjoyed free beer and pizza during the Gorilla Meetups featuring dev talks on GraphQL, Fastlane, AWS, and Smart Contracts. View photos from the event. Gorillas welcomed and celebrated the Holiday Season together. View photos from the event. Visit out Careers Page to learn more.